Tressa is the owner/agent of The Williams State Farm Agency in Santa Clara. She has built an award winning multi-line insurance and financial services agency focused on helping businesses, families and individuals manage the risk of everyday life and recover from the unexpected. She takes pride in hiring a diverse group of professionals from our local community to help build up the economy of Santa Clara. Prior to owning her agency she worked for 20 years inside of State Farm in management and as a business consultant. She graduated from the University of Missouri-Columbia with a degree in Communications, with an emphasis in Radio TV and Film. Williams is an active supporter of the local community, being a four-year sponsor of Santa Clara University’s back-to-school fair, sponsor and donor to Buchser Middle School music department, member of Santa Clara Rotary and graduate of the 2012 class of Leadership Santa Clara. She is also an active member of the Silicon Valley chapter of the National Coalition of 100 Black Women (NCBW) and San Jose Alumnae Chapter of Delta Sigma Theta Sorority, Inc. Her past board experience includes: elected three times to the national board of Delta Sigma Theta; appointed to San Jose State University’s Presidents community/Greek relations board; member of the board of directors for Operation Getting it Together, a youth mentorship program, and Chairman of the Board for the Alliance of African American Community Service Organizations (AAACO) in Silicon Valley. Professionally her agency has won numerous production and service awards from State Farm as well as the National Association of Insurance and Financial Advisors. She has been awarded the Freedom Fighters award from the Silicon Valley/San Jose NAACP, the Women of Advocacy award from NCBW, and the Santa Clara County Kwanzaa – Seven Principles Award for Community Service, for her work in the community. She is married to Pastor Ken Williams. Carolyn is the founder of the Santa Clara Performing Arts Foundation, and chaired the non-profit's first fundraiser, A Night Under the Fireworks with the San Francisco 49ers. She brings three decades of technology marketing, communications and project management experience to her role as SCPAF President. 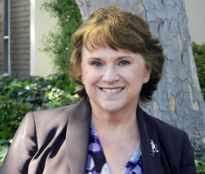 Carolyn is also a Mission City Community Fund Pillar, managed marketing for Mission City Opera's premiere of Michael Taylor's Truce of Carols, and is chair of the St. Ann Choir of Palo Alto 50th Anniversary committee. She has sung with the California Bach Society, West Bay Opera Chorus, San Jose's Trinity Cathedral Choir, Stanford Early Music Singers, and St. Ann Choir of Palo Alto. Carolyn is also the Associate Editor of the Santa Clara Weekly, as well as a freelance technology journalist, and writes extensively on arts, community and local non-profits. Her technology writing has appeared in the San Jose Silicon Valley Business Journal, the Bay Area Business Woman, Broadcast Engineering's Mobile TV Update newsletter. A native of Brooklyn, NY, Carolyn has a B.A. in Music and an M.S. in Computer Systems from the State University of New York at Binghamton. Aside from being Treasurer for SCPAF, Rick is and has been an officer on the board of directors, council, and advisory committee for various professional organizations, non-profit foundations, community service organizations and many other groups - most of which raise funds to provide scholarships, assistance and support to children, students, seniors, homeless, and the disadvantaged in San Jose and Santa Clara. Rick's organizations include: Kiwanis Clubs of West San Jose and West Santa Clara, Mission College DSPS and West Valley DESP Joint Advisory Committee, Solid Waste Association of North America, American Public Works Association – South Bay Area Chapter, New Valley High School Site School Council, and Wilson & New Valley High Schools Employer School Council. Prior to his retirement, Rick served as the Director of Streets and Automotive Services for the City of Santa Clara and still acts as a consultant for the department. He is a registered professional civil engineer in California, Colorado and Nevada, and has a B.S. in Civil Engineering from the University of Colorado and an M.P.A. from San Jose State University. Rick is also the co-producer, playwright, co-director, and actor for the annual performances of the well loved SHOWTIME melodramatic play that raise funds to support the City of Santa Clara’s Senior Center Health and Wellness Program.